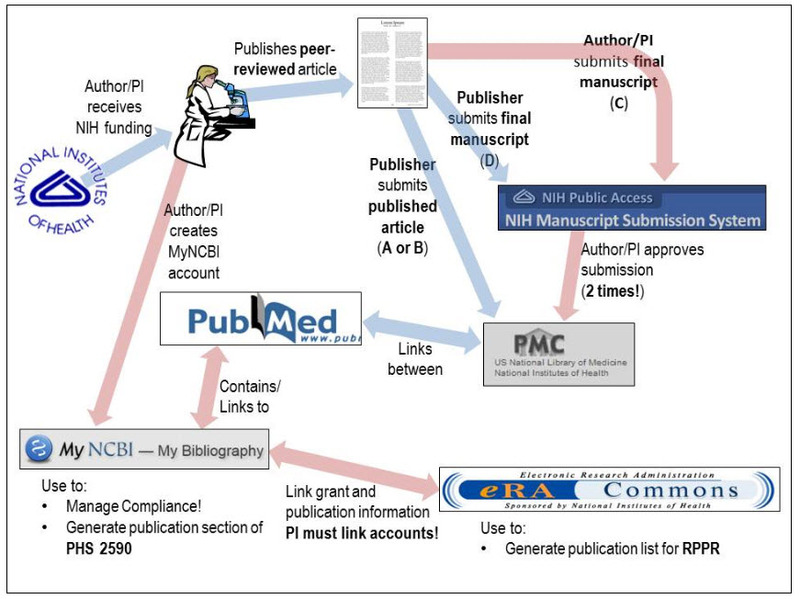 The diagram below depicts the overall process involved in the NIH Public Access Policy. It illustrates what systems are involved and the interactions between those systems. The steps a PI/author needs to take are illustrated, with those that are typically problematic highlighted in red. Before you sign a publication agreement, make sure that the agreement allows the paper to be posted to PubMed Central in accordance with the NIH Public Access Policy. Anyone submbitting an application, proposal or report to the NIH must include the PMCID when citing applicable papers that they author or that arise from their NIH-funded research.